Maybe a retired owner operator or one who wants to earn some extra money will be in your area who is willing to help you out by training you or renting their truck out for you to test for your CDL. This is a huge risk for them to take. I advise you to consider that during your interactions. Obviously they will have to charge you. An alternative is to go to a truck driving school or trucking company and see if they offer discount if you already have your Class A Permit and you know how to drive. If you need an owner operator to train you for getting your CDL list yourself below. If you need to rent a truck to get our CDL list yourself below. and how much you will pay the owner operator. Describe your price and terms and whether you are open to negotiation. What exactly do you need and how much will you pay the owner operator. To rent a straight box truck class b 26001 or greater Connecticut , Hartford. Looking for training near Homewood, Illinois already have permit just need hands on with manual truck. Summerville sc, 29483 8035700805 I have a permit i just need a class be truck to test. Looking to rent a Class B truck with air brakes for road test. Tennessee, Murfreesboro I need a truck to drive for my cdl driving test. Need to rent truck for test and maneuvers plz. .vero beach fl Have clp and some training, would need little extra to be able to take the cdl a road test . Wanted Tractor Trailer Training, I am NJ CLP Holder-I drive manual stick shift cars and motor cycles-so I be easy on your transmission. I'm Reggie I've got my permit but i need someone to teach me how to drive an 18 wheeler I'm willing to pay. Dallas,tx. Have permit just need training with driving will pay. Charlotte,NC. Have some training in need of more training with backing. Need a rent a truck to take CDL Test. Delaware, Dover...will travel within state however. Have CDL permit & medical card. Been driving with a friend but need practice on backing up and someone to take me to my driving test. CDL In NJ Road test help and need truck! Experienced Phoenix driver, need to rent truck to take CDL test. Im currently in truck driving school. I passed my pretrip. Desperately need help with downshifting.. I have my Class A CDL permit and Medical Certificate but need the rest of the required training to obtain my CDL license. Are there any truck drivers willing to help me with this? Houston TX ... I have CDL permit but need truck & trailer for road test. Had CDL for 10 years plus but let it go. Just trying to get reinstated. I Need To Rent A Truck And Trailer For Taking My Road Test In Laredo Texas U.S.A.
i have my C.D.L. learners permit,i need to use a truck to take the drivers test. Trying to reobtain my Class A CDL that I gave up last year. I've passed the written tests & my skills test is on 7/27/2016. I am going to get my permit for my cdl.i need to take my road test so I need to rent a truck. Knoxville, TN 7/22/15 need a cdl b truck for a road skills test. will pay top dollar for the rental. I have my cdl permit but am in need of a truck to take my test. please let me know if anyone knows where I can rent one. Rent a day cab and a 48' trailer for test day. Jackson, Georgia Rent a day cab and a 48' trailer for test day. Baltimore, Md. Need truck and trailor.september 2014. In need of some training and use of a truck. Open for negotiation on the price. Looking to rent a truck and trailer in Baltimore MD for my CDL test. Need a manual class A CDL truck to use to take test around middle of February 2019. I know how to drive just need a truck to test in will pay. Dover DE Need a dump truck to renew cdl-b license. Already had one but physical expired and I have to do everything over. I need an Automatic Freightliner with a Box Trailer to take my CDL Test in. Olmsted falls ohio. Looking for truck to practice on. Wilmington ,NC Willing to pay daily. Need to practice with a combination vehicle to get my class a, as well as to take road test. Wilmington, NC Have class a permit, need a class a license holder and a tractor trailer to practice and take road test. Willing to pay daily. Arkansas, Sherwood Planning to take CDL exams in a few weeks and would like to get a little training and rent a truck for exam. Been driving a class A automatic for 16 years . Contact me at ssbankes@gmail.com. Phoenix Az. I'm looking to rent a class B truck to test in OKC for $250. Call or text me at 405.822.7428. I need to rent a truck for $300. I need to practice and test. My number is 405.822.7428. I have Class A permit, I need some behind the wheel training and a truck to use to take the road test. Will pay. I have a permit but I need a tractor-trailer for the CDL test. 859 550 1324. Call to discuss price. My name is Michael Wilder. Portsmouth-Norfolk. Need more road experience. Currently have permit and am in cdl school full time. List price per hr. I need truck rental for CDL A practical test in Annapolis, Maryland. Need truck driver training in Roswell Georgia area. Columbia, South Carolina. Willing to pay to rent a truck for testing for cdl. If anyone can help me please email me at derricasm@gmail.com. Hello looking to rent a tractor for my road test on April 2nd in statesville NC. Peachtree Corners, Ga 30092 available 7 days a week 45 mile radius will pay for time. Tuscaloosa Alabama. I've already attended school and have passed pre-trip inspection,air brake testing, as well as couple and uncoupling. Hi I need rent at truck for take at CDL road test. Whichita Falls, Tx Needed For CDL Test On 03/16/2018 at 11:40 AM at DL location Wichita Falls in Wichita Falls, TX. I need to rent a tractor-trailer to take CDL road test. I need to rent a dump truck in St. Louis Missouri 26,001 for class B ASAP anyone? I am in newport ky. My number is 513 535 7166. I need to rent truck an trailer to take my test in. SARASOTA FLORIDA NEED TO RENT SEMI TO PRACTICE FOR DRIVING TEST. ALREADY HAVE CDL CLASS A.
Atlanta or macon ga. I have my class b permit. Waldorf, MD. I need a class b truck with stick shift to take driving test. Willing to pay $200. Testing in late January. LIBERAL, KS 67901 I need to rent a truck for cdl test. automatic truc. I'm opened to negotiate and no motter what city in Kansas. El Dorado, AR.. I have my class a permit and I am in need of a tractor(trailer) to take my skills test. Looking for someone with a class b truck to go over pre trip, get some road practice and test in. durango colorado 81301. looking for an automatic to rent to take my cdl road test. 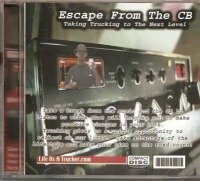 I'm in Richmond va, and am in need of a manual cdl box truck with air brakes to take the cdl pre trip, and driving test. I need to rent an automatic for my CDL A test. Call 859-806-5500 Bill. Carbondale Illinois. Needing a truck to practice for my CDL test asap. Opelika alabama i need a truck for cal testing. Needing truck and trailer for CDL drive test. Times are flexible. Price is negitable. I am in Pinellas park Florida. I need to take class D air brake driving test 5024710430 is my phone number. Denver, Co. Ready to start from June 19, 2017. Wilkes-Barre Pa 18705 need class B airbrake truck to take test soon. If you can help me I'd like to rent your truck. I need help with training and to rent a truck for cdl DMV test. San Bernardino, California. Maryland,waldorf I need to rent a dump truck for my cdl driving test. I need to learn how to drive manual. Need training have my cdl but never learned how to drive manual. Gautier, ms need truck to get my class b license. Have my b class permit. South Carolina. I went to truck driving school but was dismissed. I need to take my cdl test. How much would that cost? Raleigh NC Needing a mentor for road test for class A cdl have CLP. Or will drive a load, while you supervise, in exchange. California, Van Nuys., how much will it be for couple hours,? Plainview Tx Need training on truck and use truck for test. Virginia Beach, VA I need to Train and rent a truck for the class A cdl driving test. I need training and truck rental to do CDL test in Alabama, Mobile or Baldwin county. Jackson MS need to rent a truck or need a third party examiner to test me dates and time can be worked out but need a price on response. Need to rent a class A truck for cdl test in Greenville SC area. Please contact at 256 520 7593. Houston Tx.i have permit but need to take the driving part of test quickly. Time sensitive. I am looking to rent a class B truck to take my test in in San Diego Calif.
Atlanta ga. 10 miles from airport. I have class A permit. very good with the walk around and driving the truck. Just need truck to take the test with. I need some backing up practice. Wiling to pay $20 - $30 an hour.. I live in Nashville, TN.Nashville, TN. I'm in need of cdl class A and or b training and truck to test in. I'm in the Jackson MS area. I'm willing to pay. Please call 601-454-3034. Open To prices. Im in wichita ks email neverendingexpectation@yahoo.com if you can help. Peoria, IL. I am needing to rent a Class B Truck to take a Road Test for the Secretary of State. I am located in Atlanta,Ga. Maryland (P.G. County) I need a manual transmission truck to take my (Class B) road test. Also need help with the pre-trip and air brakes. Laurel, Maryland. I'm in need of a straight truck with air brake for skill test on 07-14-16, please help me, thanks. Greenwood SC. Need a class B vehicle to take pre trip and road test!! Willing to pay a fair price!!! Massachusetts boston need a truck for rent for road test class b with airbrake. ...thx call make at 404-552-1551. Spokane, Washington I need a truck & trailer to take my CDL test. i live in Danville Ky would prefer a day cab with fifth wheel flat or lowboy trailer.With air brakes. Virginia Suffolk. I need a trailer to take test with. I have a tractor. Need it by mon.the 16th. At 9.a.m thanx. Tulsa, OK need someone to teach me how to drive a semi. Dewey,Oklahoma 74029 529 n. Downing ave. I need to rent a truck to pass my drive test for my class A CDL!! Marietta, Georgia - looking to rent a truck asap to take my CDL A test anywhere in Georgia. I am looking for someone to train and provide the truck to take my road test in. Will pay! Jackson Ms.
Houston Texas need to rent a cdl truck. Bradenton Florida. I am in need of a tractor trailer to practice and take cdl test. Beckley West Virginia , have class a learners need a truck for a or b doesn't matter to me. 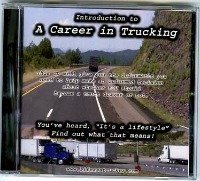 I have my CDL A licence and I wanted to practice a truck with manual transmission and air brake. I need training on 7 or 9 gears trucks to the CDL road test. I am in Columbus, OH. I have a cdl permit (ex 4/17) with b and s endorsements. I need a vehicle for skills test In wpb email Mimi ,sosimp1@yahoo.com, if you can help. Odessa Texas. experienced driver. Just need to renew my previous status. Charlotte North Carolina . I need to rent a straight truck to take my class b driving test. JOLIET,ILLINOIS I WOULD LIKE TO RENT A TRUCK WITH AIR BRAKES FOR ONE DAY TO TAKE A CDL CLASS BE ROAD TEST. THE COST PER DAY AND MILEAGE IS? Toms River, NJ. I will have my permit. E-Mail me at ryoungblood0@yahoo.com, thank you!! Im in minot nd. I need to borrow a truck to pass my cdl. My number is 701-500-6221. Ringgold Georgia. Have a class a cdl but need practice with a ten speed. Haven't driven in a few years. Will pay for help. Im out of nashville tn. would be able to rent. please contact me at 9312894310. please and thank you. Need to get a little drive time and rent a truck to test in OKC area. Greensboro NC I need to rent a truck with trailer to take CDL road test. Metro Atlanta Area of Georgia. Upper Marlboro MD. Need a truck to take my CDL test within the next 45 days. Penske and Ryder charges way too much for 3 hours use. Johnson co, KY. Need to rent a class b air brake truck by this friday. Willing to negotiate on price and willing to travel with two or so hours. Muskogee OK. Need to rent a truck. Also need truck driver training by an owner operator. Hello, I need a day cab tractor and trailer to take CDL test. I am willing to pay $250 which is negotiable. MORGANTOWN WV, WASHINGTON, I AM JUST SOUTH OF PITTSBURGH, PA. I need to rent a truck to take cdl test in Huntington WV or surrounding area. Need to borrow a big truck for CDL test in Oklahoma City Oklahoma.